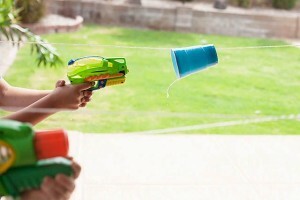 Kids and adults of all ages love having target practice whenever water guns are around. *The simplest do-it-yourself target practice set up is getting 6 or more SOLO cups and stacking them like a pyramid. You would then use your water gun to try to knock down the pyramid. 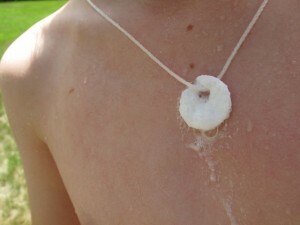 *Another good way to have some target practice is making Fizzy Necklaces for targets. You do this by drilling a small hole in the middle of an Alka Seltzer and threading string through the hole to make a necklace. You can make the string length any size. Each person would wear one necklace and everyone would aim for the Alka Seltzer. The more water that hits the Alka Seltzer the more it dissolves. The person with his/her Alka Seltzer still intact, wins! A twist on this game is to play it in late evening with glow sticks. Playing in the evening makes the target harder to see, but the glow sticks will keep everyone in view. Just make sure there is enough light around so players do not get hurt. 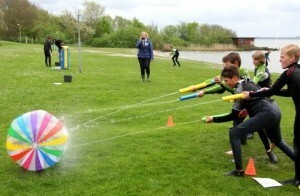 When you have enough people and water guns to generate teams these next two activities are very entertaining. *Have a cup race! Make a hole at the bottom of two SOLO cups, next thread string through each cup. You can make the strings as long as you would like. You will then need to attach each end of the string to something making sure the string is taut. Use your water guns to push the cup to the other end. The team that has all their members send the cup to the other side, wins! *This next activity you’ll need a big beach ball, a starting line, and a finish line. 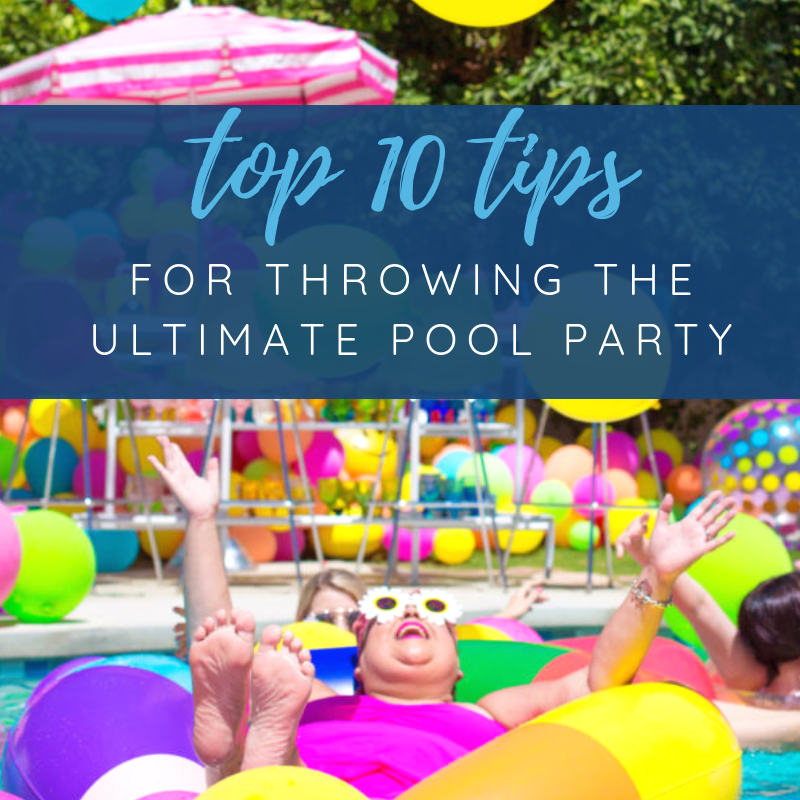 Each team will need to work together to send the beach ball rolling. The team that successfully gets the beach ball across the finish line, wins! To make this game a little more challenging, you can add a few obstacles for the team to conquer by having them maneuver the ball in various directions to avoid the obstacles before reaching the finish line. 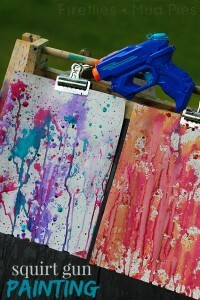 *The last water gun activity is a very creative one, squirt gun painting! 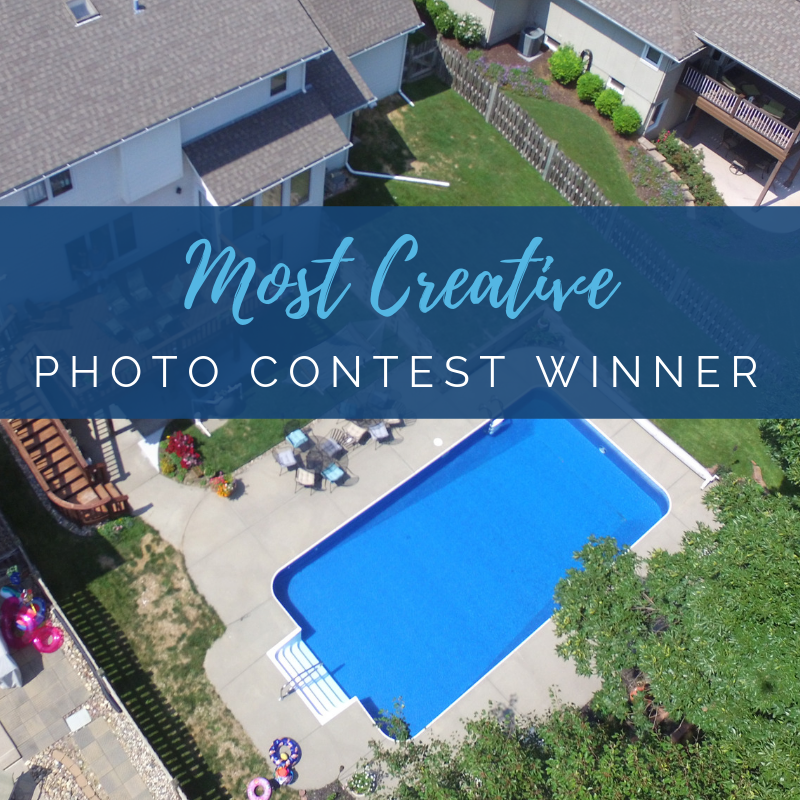 You’ll need water color paints and a blank canvas or paper to work on. To make the most out of this activity we recommend using a larger size canvas or paper and using two or three different colors. Each color will need its own water gun to be squirted from. Once you’re ready, squirt your color filled water gun on your blank space. To make this activity a little messy and a lot more fun, have any participants wear white play clothes and then they can become human art! You might want to wear goggles for eye protection. 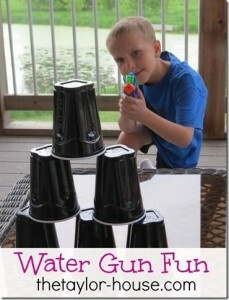 We hope these five water gun games that we’ve found will inspire you to have some wet fun this summer! Whatever you decide to do this summer be safe, have fun, and make some memories!